Works on Palm City Residences, the Maltese and Kuwaiti-owned luxury development in Libya, are now nearing completion as Mediterranean Investments Holding p.l.c. (MIH) gears up for the official inauguration of the project within four to five months. 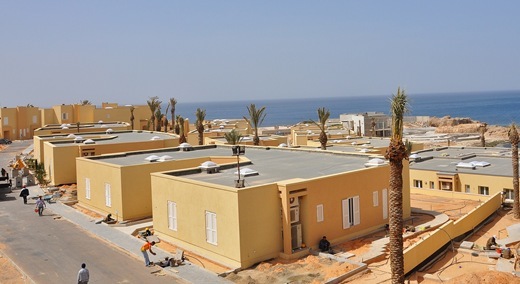 Palm City, which is located on the pristine coastline of Janzour, is the first project to offer five-star, long- term accommodation in Libya and the residences have already secured a substantial amount of tenants. “Works at Palm City have maintained their positive momentum and we are in the process of hosting clients for on-site visits. The area surrounding the development in Janzour, which lies 15 kilometres away from the capital of Tripoli, has been totally transformed with roads, paving and landscaping,” Mr Reuben Xuereb, Managing Director of MIH, said. With a mid-to-late summer inauguration on the cards and a good number of the residences furnished and soon ready-to-move into, the first tenants are expected to move in shortly. Tenants include a variety of companies from diverse sectors. There is a healthy mixture of oil companies, financial services, insurances and banks, education, embassies, construction companies and the like. Palm City Residences are normally leased out to corporate companies which in turn, make this accommodation available to their employees during their work assignment in Libya. Palm City has all the facilities and more to keep professional lives running smoothly, but it also offers accommodation in Libya with a real sense of home. “Structural works and internal finishings, including tiling, apertures and internal and external doors, have been completed in 95% of Palm City residences,” Mr Xuereb added. Designed to high standards, the self-contained residential community is fast becoming the preferred residential address for the numerous expatriate families living in Libya. Palm City comprises 413 residential units with a multitude of supporting leisure and entertainment facilities including a private sandy beach served with two restaurants and a central piazza which will act as the focal point for the community where people meet, shop, and see to most of their daily needs. roomy and combine open planning with intimate spaces. Storage is impressive for leasehold accommodation with wall-to-wall units masterfully concealed in bedrooms and utility areas. With climate and social spaces at a fore in the design, all Palm City units offer large, versatile outdoor living areas in comparison with their overall footprint. Villas and bungalows have landscaped gardens with pool and decking areas and offer unspoilt and open sea views. Two- and three-bedroom apartments and studios have ample terrace and/or balcony areas. All the low rise houses are semi-detached so as to allow for light and airy interiors. Duplex penthouses and maisonettes have the advantage of roof gardens in addition to spacious terraces so residents can make the most of outdoor living throughout the day and to suit their mood, whether for entertaining or relaxing. “Plans have now been finalised for the main restaurant by the beach, which is expected to be the hub of activity for the Palm City tenants. Negotiations have also been concluded for the operations of a fully fledged supermarket, clinic and hair salon/beautician, which will all be located within the Central Piazza area alongside other outlets earmarked for this area,” Mr Xuereb concluded. Palm City sets the standard for rental accommodation that is tailored to the requirements of the international community. The residences were purpose built with an expatriate community in mind and each home is offered complete with every fixture, fitting and comfort, including, for example, extensive storage, ample landscaped outdoor spaces and high speed wireless internet. 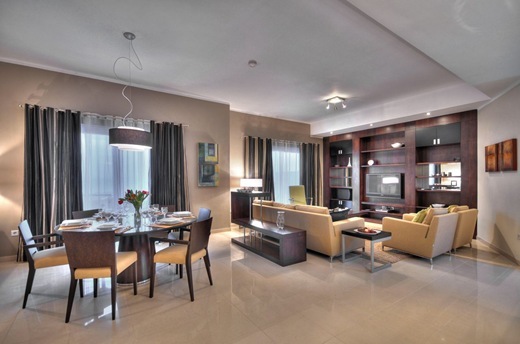 For more information about Palm City Residences visit www.palmcityresidences.com.